Our New England Rain Jacket has been a best seller for years. Why? Because it's cute, it's warm, it's cozy...it's basically perfect for any rainy day! 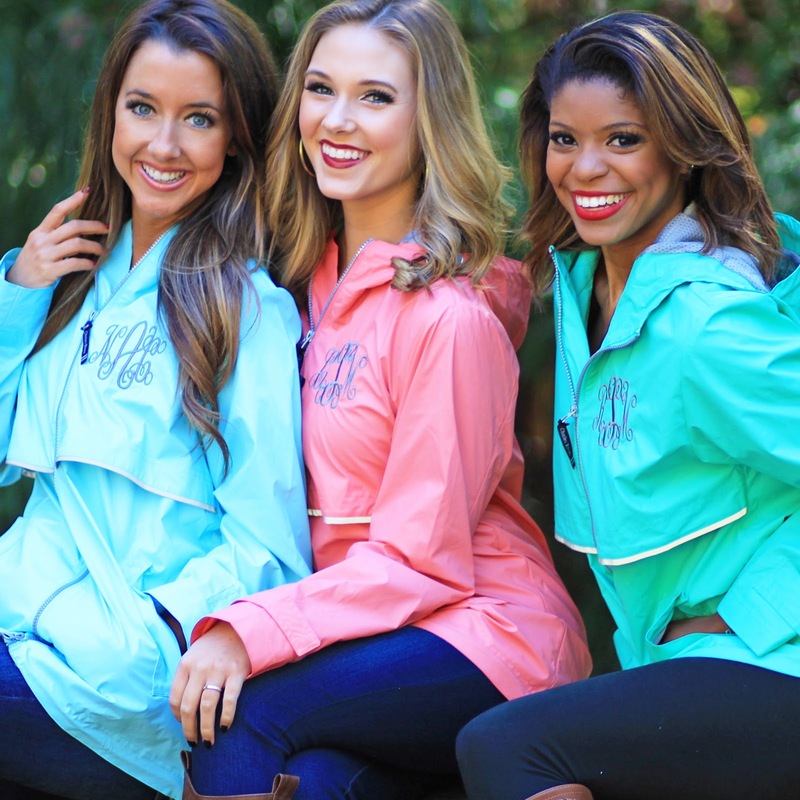 Seriously, you'll be wishing for a rainy day just so you can pull out this cute jacket! Get it here! Preppy and perfect for everyday wear! This Sweatshirt Tunic is cute, cozy and pairs great with leggings, a monogrammed scarf and some monogrammed boots! Available in 6 different colors, cozy up in one today! Shop it here! This Tunic Sweatshirt is all the craze! It is incredibly soft, and it comes in 2 colors that literally go with anything! Don't miss out on our newest best seller! Personalize yours here! A classic here at Marleylilly! This pullover sweatshirt has a sleek and slimming feminine fit—not like most sweatshirts! Treat yourself to this all around favorite sweatshirt here! Your wardrobe is not complete without this cute Herringbone Vest! It features a woven herringbone with a fashionable gold zipper that is perfect for layering over your favorite shirt! Get it here before it's gone! Check out this link for ALL of our great outerwear options!